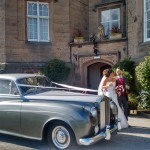 Save up to £100.00 on Winter bookings. Contact us for more info. 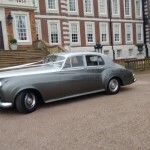 Elegance Wedding Car Hire offers chauffeur driven Rolls Royce, and Daimler DS420 limousines throughout Wigan, Bolton, St. Helens, Leigh, Liverpool and surrounding area's. 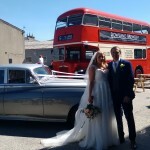 Elegance Wedding Cars of Wigan provide weddings car hire services across the North West including the following areas - Wigan, Bolton, St Helens, Warrington, Preston, Kirkby, Liverpool, Widnes, Manchester, Cheshire, Chorley, Leigh, Ormskirk, Skelmersdale, Prescot and Knowsley. Runcorn. Altrincham. Knutsford. Lymm, Lancashire, North West, Merseyside. Wilmslow. Crosby. Leyland. Urmston. 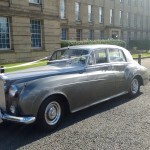 Rolls Royce Wedding Cars Liverpool, Wirral, Rolls Royce Wedding Cars Manchester, Chester, Alderley Edge, Blackpool, Bamber Bridge, Blackburn, Accrington. 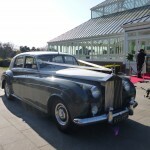 Rolls Royce Wedding Cars North West, Prestwich, Salford, Congleton,Hyde. Whitefield. Sale. Prestbury.